Regional Care Hospital Partners’ and Tennessee-based Capella Healthcare’s plan to merge and form a $1.7 billion system that will be rebranded as RCCH Health Partners. Gilbert Hospital and Florence Hospital at Anthem, in Arizona, announced their plan to merge and form a new entity called New Vision Health. Philadelphia-based Jefferson Health announced plans to merge with Kennedy Health, which will add three New Jersey hospitals to the system, and acquire Pennsylvania-based Aria Health. On the pharmaceutical side, Ireland-based Shire and Illinois-based Baxalta announced plans to join forces and merge in a deal estimated to be worth approximately $32 billion. Navigant Consulting acquired McKinnis Consulting Services, which offers revenue cycle services, for $52 million. 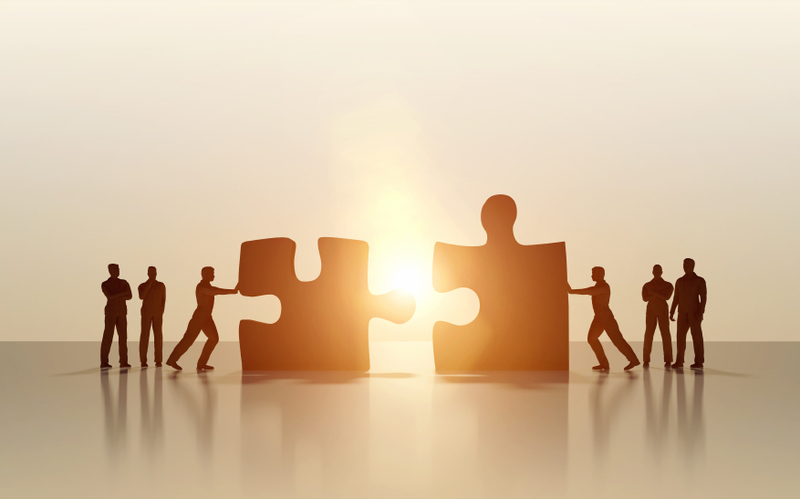 As with any merger, your communication strategy plays a vital role in its success. You should develop a strategic communication plan during the pre-merger process for all stakeholders. Here are five key elements that should be a part of every healthcare M&A communication strategy. Establish a M&A communications team. This team should be responsible for directing the communications strategy so that the messaging is comprehensive and consistent. The team should have a seat at the M&A table so they are aware of any merger-related issues that may need to be part of the communication plan. The M&A communication team should be in charge of the day one announcement, training managers to field employee concerns and answering employee, patient or consumer questions about the merger. Create a brand integration strategy. It is essential to determine the identity of the merged organization as soon as possible. What will be its position in the marketplace? How will it add value? What will be its strengths or areas of focus? The communication strategy and all of the marketing materials should support the brand image of the new organization, which can be challenging when you are combining two separate organizations that each have a unique voice. Focus on making sure all of the talking points, communication and marketing materials and presentations all provide a cohesive message about the new organization and support its brand. Customize communication materials for different stake holders. Each stakeholder group should have materials that are tailored to their needs. For example, the senior executive team will need to know how to address questions from the community, patients and employees—all of whom will likely have different concerns. Employees will want to know why the merger or acquisition is happening and how it will impact the organization, workflow, and their position. Employees should also be given information about the direction of the new organization. Consumers will want to know how the merger will impact the community and services. Develop a plan that uses as many communication vehicles as possible, such as email, social media, direct mail, community forums, weekly staff meetings and newsletters. The communications should be clear, consistent and honest. Develop a two-way communication policy. It’s important to know what different stakeholders are thinking throughout the process. Use different mechanisms to establish two-way communication, such as online feedback, surveys, question box in the staff lounge or schedule Q&A time at staff meetings. This will help build healthy relationships with the community, patients and employees throughout the process and allow the organizations to address concerns early on. Part of the M&A communication team’s role should be to seek feedback and keep tabs on the morale of the organizations involved. Convey common goals for the new organization. One of the most challenging aspects of any merger is combining the different cultures from two organizations and establishing a new organizational culture and brand. One of the first steps to bridging the gap between the organizations is to establish common goals for the newly merged organization and communicate those goals to the entire staff through multiple touch points. These goals should tie into the organization’s brand identity and role in the community. The goals should have specific benchmarks and accountability, such as outcomes data, patient satisfaction scores and employee benchmarks. Having goals that every department in the organization is focused on is a great way to unify the staff, establish the culture and build the brand. During a merger or acquisition, the organizations should have a robust and cohesive communication strategy that delivers its message often and through as many different channels as possible. This will help alleviate any fears and concerns from the community, staff and patients.